Blow it up all to the hell. The Smithsonian Institute has created a video in which it tries to respond with some black humor to what would happen if the Yellowstone supervolcano erupted. Yellowstone is one of the most monitored volcanic regions on the planet. It is not for less taking into account that the magma chamber of the volcano on which it sits is a lava "pool" of 88.5 kilometers long by 32 wide and a maximum depth of 14 kilometers. The reason why this monster sleeps is precisely for the more than 10,000 small holes (boiling mud ponds, fumaroles, geysers...) by which the pressure and temperature come out and keep the boiler under control. 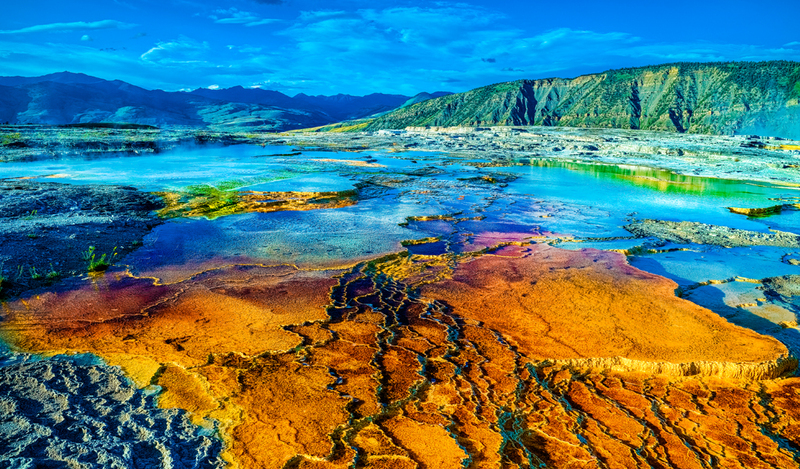 Yellowstone is an 8 in the Volcano Explosive Index, an estimate of the strength with which a volcano can explode. Geologists agree that it would be an explosion like none of the ones we have known so far. It is estimated that the area of direct destruction caused by the blast wave would be approximately 60 kilometers radius around the park. However, the biggest problem would be the millions of tons of ash that the volcano would release into the air. These ashes would first increase the temperature of the planet like a greenhouse, to cool it later in the equivalent of a nuclear winter. The change in climate would be dramatic, and would end most of the crops. The ash, when falling, would also poison aquifers and destroy much of the equipment manufactured by man. The consequences, in short, would be global and very serious, but the possibility is so remote that we can continue speculating about it and admiring how destructive nature can be. You got a 1.64% upvote from @moneymatchgaming courtesy of @ancruz! Please consider upvoting this post to help support the MMG Competitive Gaming Community. This post has received a 4.35% upvote from thanks to: @ancruz!! !